The Park: Because the Olympic Mountains form what is know as a rainshadow, essentially blocking rain from the eastern slopes, the western mountains contain some of the richest temperate rainforest in the world. Immense sitka spruce, cedar, and hemlock, draped with layers of thick moss and lichen, provide habitat for Black-Tail Deer, Mountain Lions, and the huge Roosevelt Elk as well as many smaller animals. While in many ways the mountains and the coast in the park seem timeless and unchanging, the rainforest feels ancient and heavy - a place bursting with life, yet quiet and haunted by the past. The rainforest can be accesses off of Hwy 101 at the Hoh Rainforest Visitor's Center, Queets, and the Quinault Rainforest, all accessing trails that penetrate deeper into the park. Lego Davy trying to climb a tree. He's got a long way to go. Camping: There is rainforest camping at both Hoh and Queets. Queets is smaller and on a river, maybe a good choice if you're looking for remoteness, but Hoh is the center of activity of the rainforest section of Olympic. Take your time driving down Upper Hoh Road to the campground. Watch how the ecosystem changes from the coastal forests to the dense rainforest of the deep river valleys. Make sure you stop at the Big Sitka Spruce on your way. Like any National Park campground, get there early to secure a spot in the summer - they fill up fast. All the spots are great at Hoh, but Loop C is most likely to get you on the river and Loop B will giver you the best chance of seeing Elk. Hiking: Unfortunately for the rainforest in Olympic, you are either looking at a couple really short hikes or really long ones (of course you can always do part of a long one, but I hate not finishing what I start). For the sake of time, I chose to do the popular day hikes near the Hoh Visitor's Center. Start by the pay phone (hard to miss with nearly a foot of moss growing on the top) and head off to the Hall of the Mosses and the Spruce Nature Trail (about 2 miles combined). While every tree in the forest is amazing, the highlights of these loops are the broadleaf maples. Their thick, strong limbs can carry far more moss than the conifers, giving the impression of age even in the context of the ancient forest around them. Take these two slow. 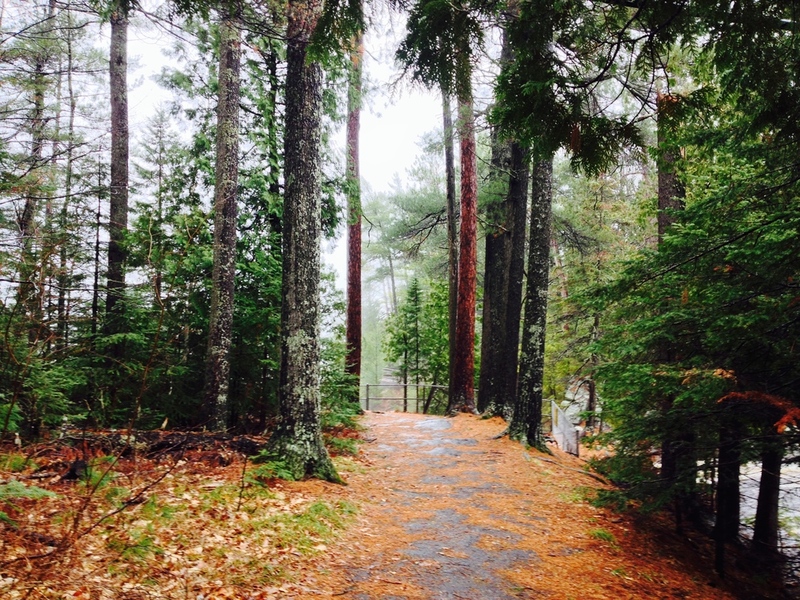 There are no grand vistas and particular destinations, so just bask in the details of the forest around you. Pit Stop: I don't really have a great pitstop for this section, but if you have time, do check out Quinault and Queets as well and then let me know what they're like. Olympic National Park on the Olympic Peninsula in Washington can easily be divided into three distinct ecosystems: Mountains, Coast, Rainforest. This post focuses on the coast. The Park: The main section of Olympic National Park contains the glaciated peaks, temperates rainforest, and lowland ecosystems of the Olympic Mountains. However, if you venture west of this area, across Hwy 101, you'll discover a very different view of the park - the soaring seastacks, colossal driftwoods, and stoney tidepools of the Pacific coast. Depending on how much time you have to spend, you can check out everything from the ancient petroglyphs at Wedding Rocks to the arches at Rialto Beach. Take some time to beach hop up and down the highway from Ruby Beach to South Beach with the creatively named beaches 1, 2, 3, & 4 in between. And if you really want to spend some time on the Washington coast, take the 73 mile Wilderness Coast Trail along the "Wildest Coast in the Lower 48" for a chance to see seashore completely inaccessible by car. Camping: South Beach - The largest and most popular campground along the Olympic Coast is Kalaloch, but if you go just a few miles further south, you'll come to the much smaller South Beach campground. South Beach is the only drive-in campground right on the beach (at Shi-Shi campground, which is supposed to be unbelievable, you can pay to park on the reservation and hike-in to the site, but can't actually drive-in). Being able to go to sleep to the sound of the waves and the smell of the sea is worth getting there early to secure a prime spot with an ocean view. I arrived about 11 AM on a weekday and got the last beachfront site, so plan ahead. Also be aware that this campground offers no privacy between sites and is dominated by RV's, but it's the price you have to pay if you don't have time or the desire to hike down the beach to a nice spot. Hiking: Rialto Beachwalk - Just outside of La Push, this 3-mile roundtrip beachwalk takes you alongside some of the most striking seastacks in the park. Start at the main parking lot at Rialto Beach and head north. The further you walk, the thinner the crowds get, but you'll have giant bleached driftwood to keep you company along the way. After about a mile and a half, you'll end up at Hole-in-the-Wall, a natural arch. Get there at low tide to be able to explore the arch and the starfish and anemone filled tide pools throughout the area. I would caution going too far north of the arch because if you misjudge the tides, you could easily get trapped on the wrong side and have to wait out the entire tide cycle to return to you're car. 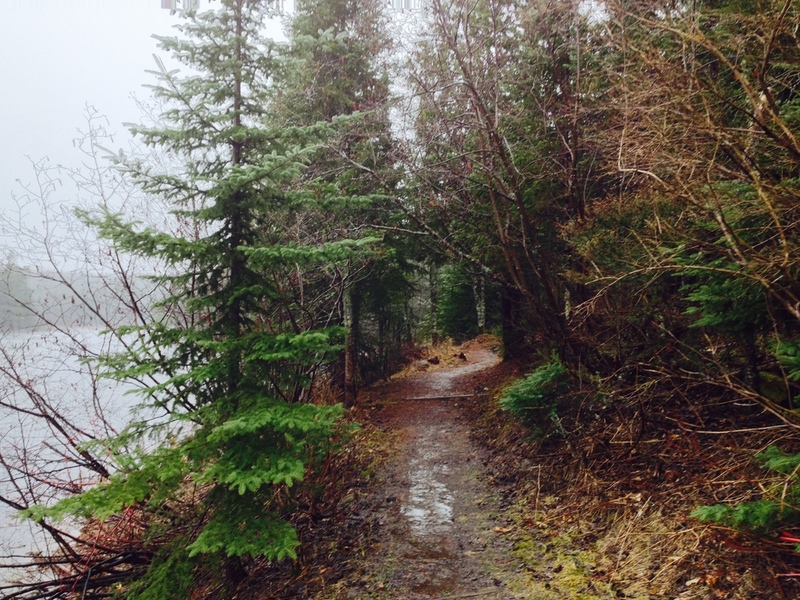 Pit Stops: Forks - Any Twilight fans out there? Forks is a must stop for you. The setting for the famous vampire novels has thrown itself whole heartedly into the Twilight universe. Visit Edward Cullen's and Bella Swan's homes, find safety in "wolf country" on the Quileute Reservation, and take in the many vampire and werewolf puns adorning every other business in town. I never want to admit that any state has better parks that Minnesota, but I know that is very foolish because many of Minnesota's state parks at lackluster and most state have incredibly beautiful places to visit. So, if you plan to cross our eastern border into the wonderful state of Wisconsin, make sure you put these two state parks on your list of places to go. Just southeast of Superior, WI, they can easily be done together in a half a day. 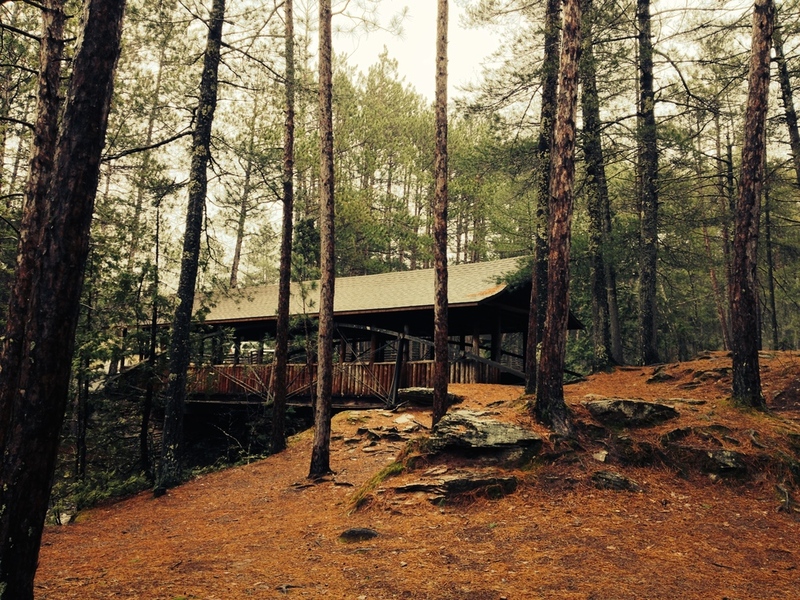 Pattison State Park is a northwoods paradise. 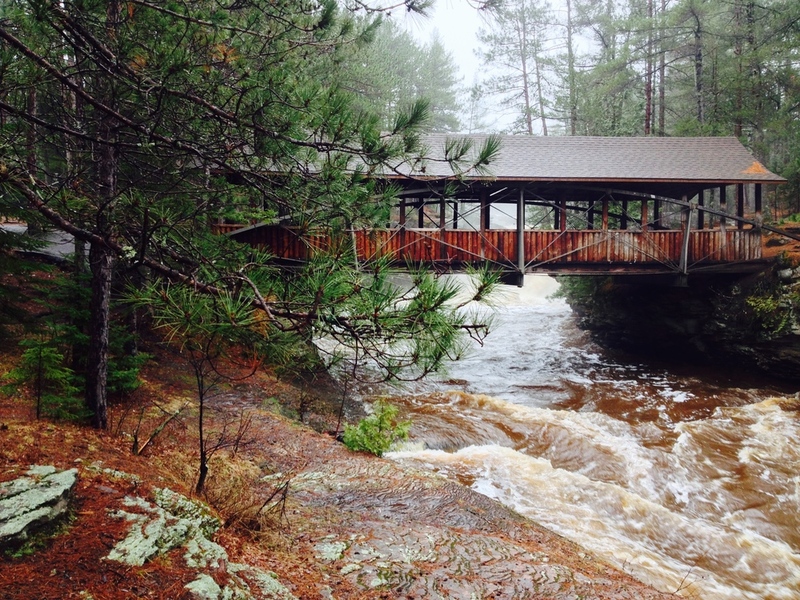 Home to Big and Little Manitou Falls, water is a main attraction here. Big Manitou Falls is across the highway from the main park (accessible by a tunnel) and is the fourth tallest waterfall east of the rocky mountains. The 165 ft drop flows into a foggy canyon, making it difficult to capture the entire falls in a single photograph, but I did my best. Cross back to the main part of the road and hike the river a mile or so down to Little Manitou falls. While only a trifling 31 ft drop, the smaller falls is the more impressive. It was raging when we visited and is more of a traditional drop than the cascading of the big falls. The river, swollen with snowmelt, is worth spending some time exploring as well and an easy trail loops around the park, crossing the river near the falls. Amnicon Falls State Park, as its name suggests, also has a waterfall - although its neither as large nor as impressive as the Pattison falls. Amincon is a smaller and more developed park and the biggest attraction is the covered bridge connecting the main park to a small river island. Do the main loop trail beginning at the covered bridge. You'll be rewarded with great views of the cascades and craggy banks as well as open pine forests and unidentifiable ruins. This is what I would describe as a picnic park - go bring a lunch, hike a bit, play in the water if the river isn't too high, and don't feel the need to stay more than an hour or two. The highlights are worth visiting, but can be seen in just a few minutes. If you're feeling ambitious afterwards, head north to spend some time at the south shore of Lake Superior or grab some dinner on the waterfront in Duluth if only to remind yourself that while these parks feel like the wilderness, they are just a short drive from civilization and can easily be done in a day trip. It is a well known fact that I believe my home state far outstrips any other in the nation, especially when it comes to nature. There is no place more peaceful or entrancing than the lakes and rivers of Minnesota, no place so full of depth and spirit. But even I will admit that there is one thing that Minnesota lacks, one thing that keeps perfection out of its grasp - Mountains. We're not Nebraska, so flat that you can see the very Earth disappear on the horizon, but the rolling hills and glacial moraines simply can't replace the might of mountains. Just an average view from the mountains around Ouray. Enter Ouray, considered by its own tourism agency to be "The Switzerland of America." A little town ringed by rugged Colorado mountains, elevations that put anything in the Midwest to utter shame, rocks that would make a geologist weep at the beauty of it, colors that make the washed out look of hipstamatic completely superfluous, and people that deign to step out of their REI travel magazine to visit us in the real world. Sure, it may be a little lacking in culture, it may be so dry that the whole valley seems on the verge of mummification, and its river may be so polluted that it flows in vibrant colors water never meant to carry, but the mountains make up for it. Colorado Columbine blooming near the treacherous road to Yankee Boy Basin. In order to truly see the mountains, it was suggested that we take a jeep on the... uh, mountain roads into the passes. Braving anorexic roads bordering cliffs that dropped hundreds of feet beneath us, we made our way into some of the most achingly beautiful places I have ever seen. Alpine meadows carpeted with wildflowers, majestic elk meandering down to the icy blue streams, mountain lakes virtually untouched by the outside world, lemmings leaping from rock to rock, snow in summer, valleys leprechaun green and martian red and granite grey. A picture is worth a thousand words, but the words might as well be in some unknown language they capture the beauty so poorly. And yet, I try all the same.